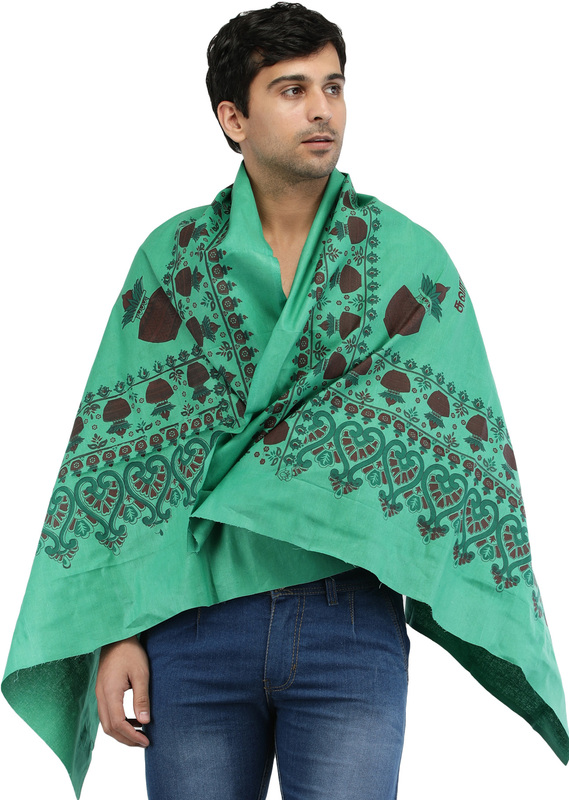 Prayer shawls in South India are a form of religious art in itself. Each of them is unique, spiritually functional, and would make you look good as you sit through ritual procedures. This Ayyappan prayer shawl of an moist green colour has the deity's name written down in classical script, hemmed in by earthen pots of ritual offerings arranged into traditional motifs typical of the borders of dhoties and sarees.